''Stop bugging INEC with unnecessary affidavit, go and submit your certificates if any'' - PDP urges Buhari - SWANKYLOADED OFFICIAL BLOG. 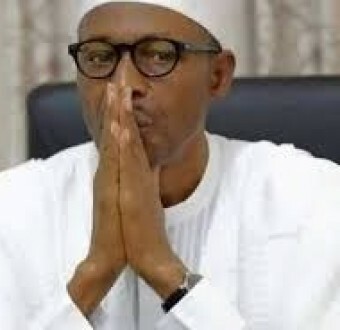 The Peoples Democratic Party (PDP) has charged President Buhari to show proof of his vaunted integrity by presenting his academic documents, if he has any, to the Independent National Electoral Commission (INEC) and put to an end his certificate saga. The PDP said while its Presidential candidate, Atiku Abubakar, has submitted his educational and other relevant documents to INEC, President Buhari is rather seeking ways to short-circuit the system, instead of complying with set rules. Indeed, a situation where President Buhari has been dodging the certificate issue raises huge questions of integrity, which demands that he makes available his credentials, or apologize to Nigerians, if he has none, so that the nation can move ahead. PDP maintains that integrity strictly demands that President Buhari, particularly as the commander-in-chief, writes to the military authorities directing them to forward his claimed credentials to INEC, as requisite evidence of compliance with a key requirement for election into the Office of the President, under section 131 (d) of the 1999 Constitution (as amended). That President Buhari and the previous INEC succeeded in circumventing the law in 2015 does not make such acceptable in our current electoral process. Moreover, President Buhari and the All Progressives Congress (APC) must realize that even their followers, that were beguiled in 2015, are currently not prepared to accept ‘NEPA bill’ as WAEC certificate in the 2019 elections. This is particularly as the certificate scandal contributes to the erosion of Mr. President’s rectitude to check the humongous corruption, ineptitude and recklessness among his officials which has brought the nation to its knees under his administration. Furthermore, President Buhari’s failure to tidy up such grey areas also contributes to his inability to cultivate and earn the productive followership of the youth and the respect of the international community, resulting in retardation in national productivity and dearth of international development partnership in the last three and half years. This situation has even been worsened by the revelations that President Buhari’s ministers and aides parade forged certificates. No country makes meaningful progress with persons with this educational pedigrees in it's leadeership. The PDP, therefore, urges President Buhari to do the needful so as not to cause any frictions that will put INEC under further pressure ahead of the 2019 general elections.